Julien’s work presented in Toronto in partnership with OCAD University and The Images Festival. ROM display will open from January 21 to April 23, 2017. The Royal Ontario Museum (ROM) is delighted to present works from installation artist and filmmaker Isaac Julien this January in its 3rdFloor Centre Block. Isaac Julien: Other Destinies, presented by TD Bank Group, opens on Saturday, January 21 and will be on view until April 23, 2017. The exhibition consists of two film projections, WESTERN UNION: Small Boats (2007) and True North (2004), which address issues of migration, race, gender, and globalisation. The ROM’s installation of Isaac’s work is one of a three-part execution across Toronto with programs at OCAD University and The Images Festival. 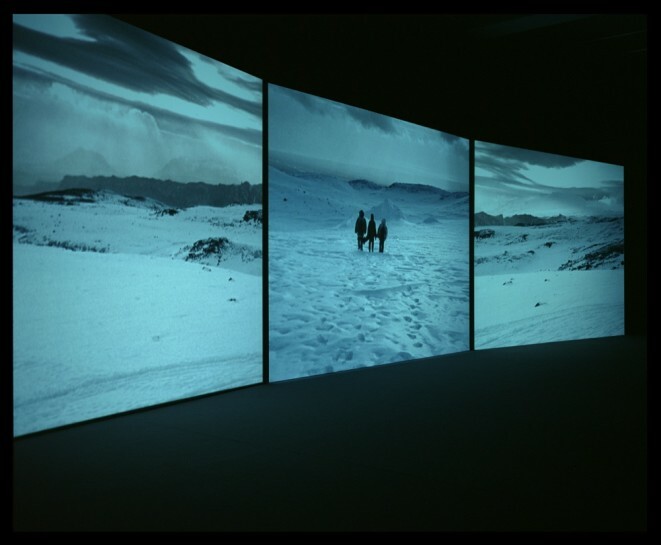 Image: True North, 2004, installation view, Victoria Miro Gallery I, 2005.